10:20am during school field trip. 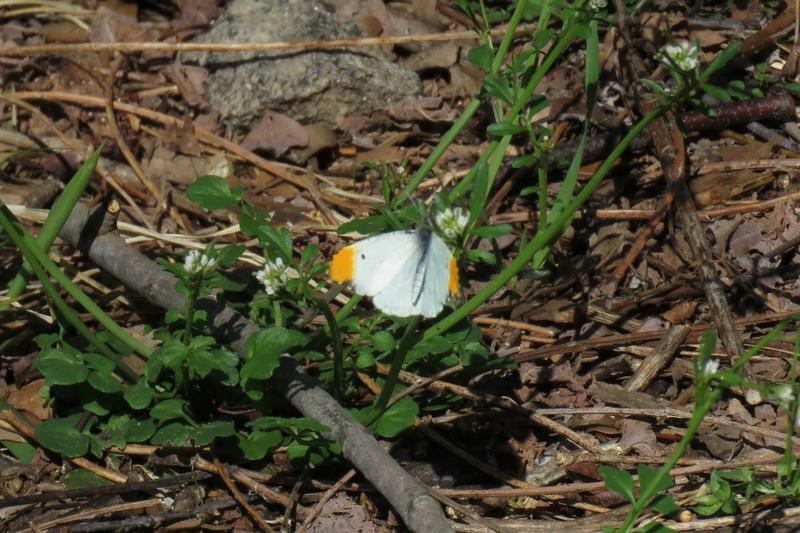 One of the students spotted the falcate orange tip and amazingly it landed long enough for some of the students to get photos. A second male came by a few minutes later.